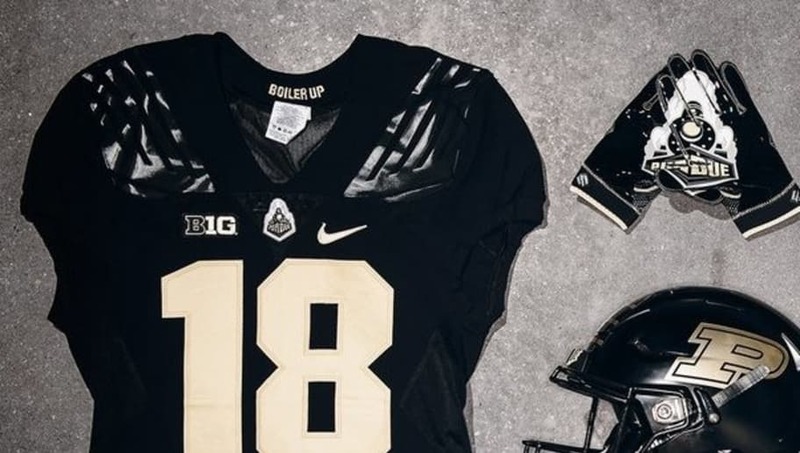 The Purdue Boilermakers are going for a Blackout look versus the Ohio State Buckeyes. ​The team revealed their uniforms for the game will be an all-black look that included a shoutout to Call of Duty Black Ops 4. ​​The Boilermakers are sitting at 3-3 on the season after ​winning three straight games thanks to a rejuvenated offense. Right now, the team is ranked 10th in total offense, averaging 510.2 yards per game. QB David Blough has thrown for 1,695 yards and 10 touchdowns, and wideout Rondale Moore has 558 receiving yards and five touchdowns. Purdue's high flying offense will try to punish a ​Buckeyes defense that has faltered in recent weeks since defensive end ​Nick Bosa has been sidelined with injury. The defense, however, will have their work cut out for them, as QB Dwayne Haskins has exposed every D he's faced so far. ​​The Boilermakers and Buckeyes face off in a marquee matchup at 7:30 EST on ABC.